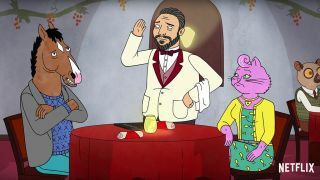 Saddle up, because Netflix has announced that its hilarious (and rather soulful) animated series BoJack Horseman will return for its third season on July 22. The show, which we’ve listed as one of the best shows on Netflix, follows washed-up ‘80s sitcom star BoJack Horseman as he attempts to resuscitate his flagging career by becoming a serious actor. Will Arnett plays the titular character, and is joined by Aaron Paul (Breaking Bad), Amy Sedaris (Unbreakable Kimmy Schmidt), Alison Brie (Community) and Paul F. Tompkins (Comedy Bang! Bang!). The return date was announced via a clever teaser trailer for the third season, which you can watch below.